Most of my recent outings have been while leading trips or in dreary conditions, both of which limit any photo opportunities. 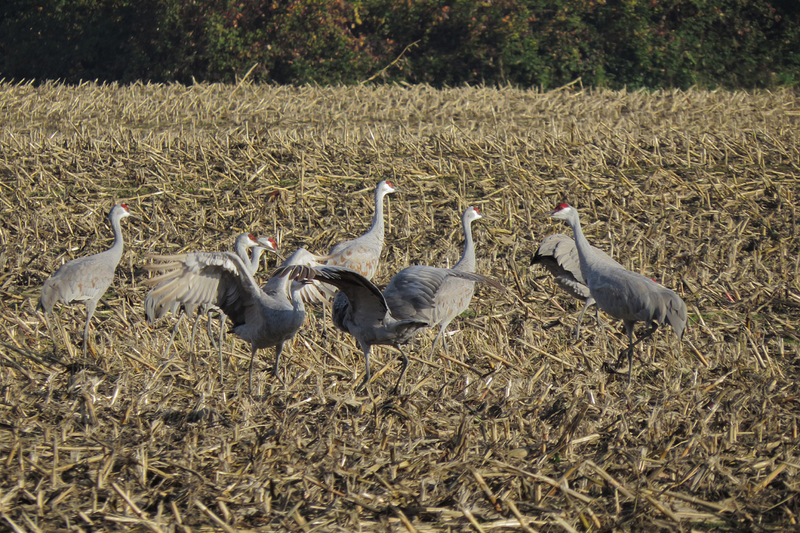 So here are some dribs and drabs from recent weeks. 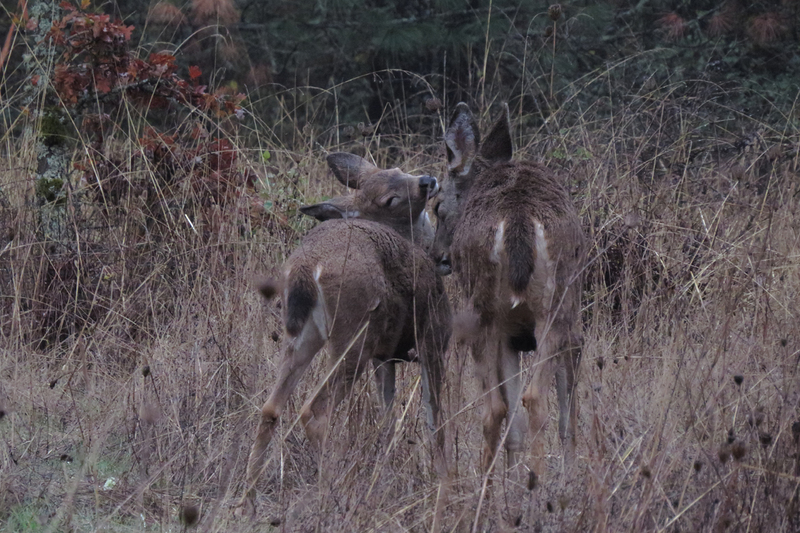 This Black-tailed Deer and her fawn were at Cooper Mountain Nature Park in Beaverton. 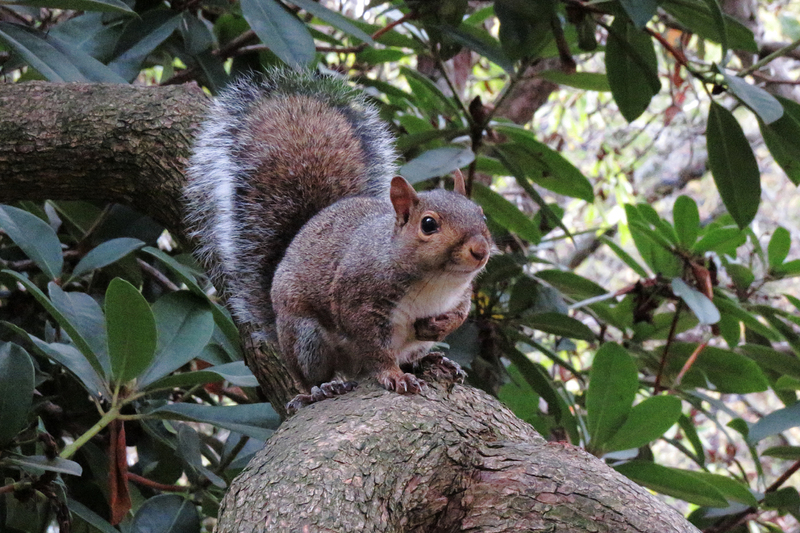 There was a second fawn present out of frame. 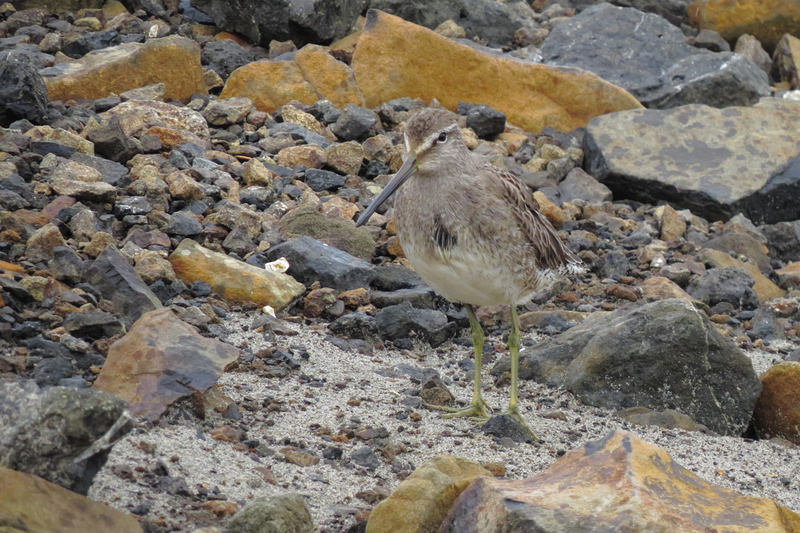 This Long-billed Dowitcher was blending in well with the rocks at Parking Lot C at Fort Stevens State Park. I often find shorebirds, usually Least Sandpipers or Dunlin, in this little patch of rocks. 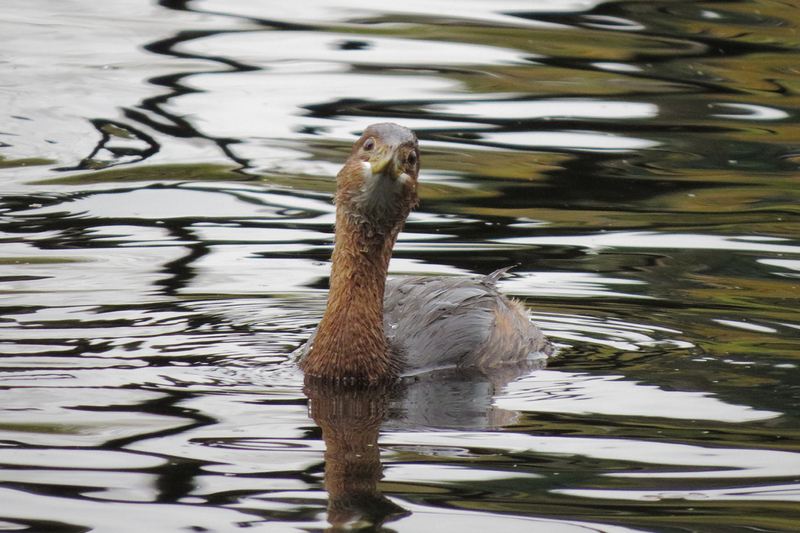 I saw this Pied-billed Grebe on a cloudy morning at Crystal Springs Rhododendron Garden. 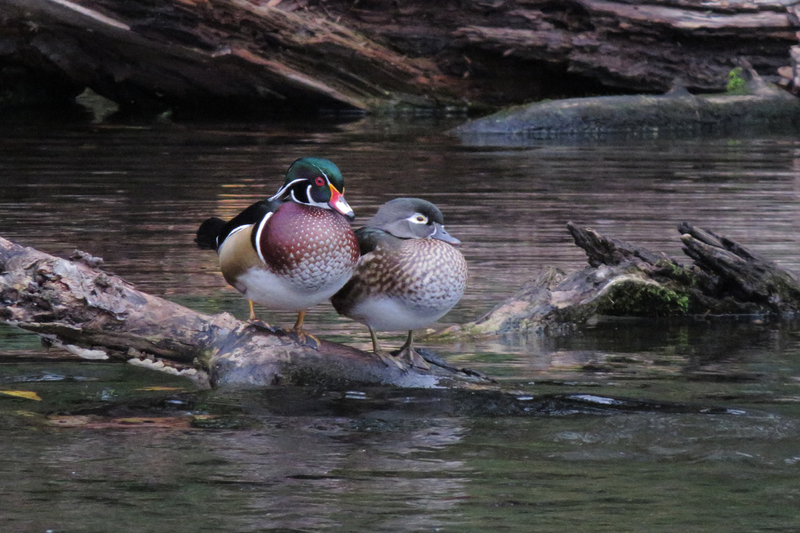 Crystal Springs is thick with Wood Ducks. 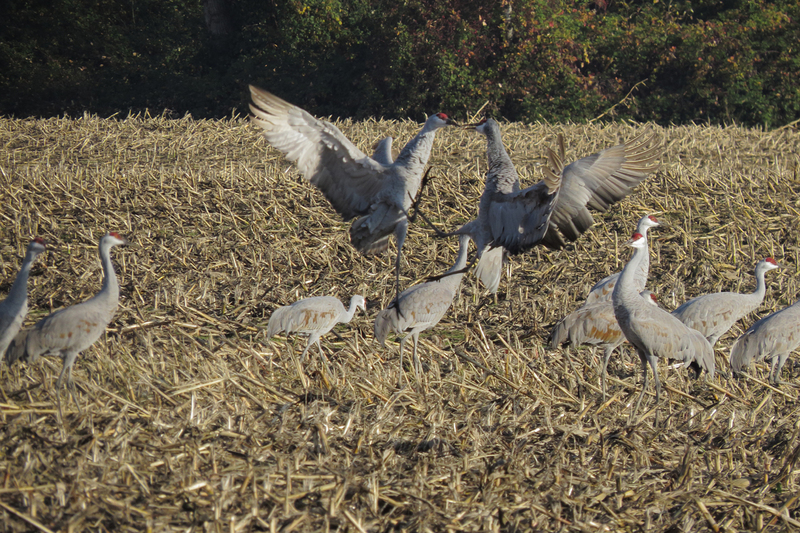 Sandhill Cranes have arrived in good numbers at Sauvie Island. 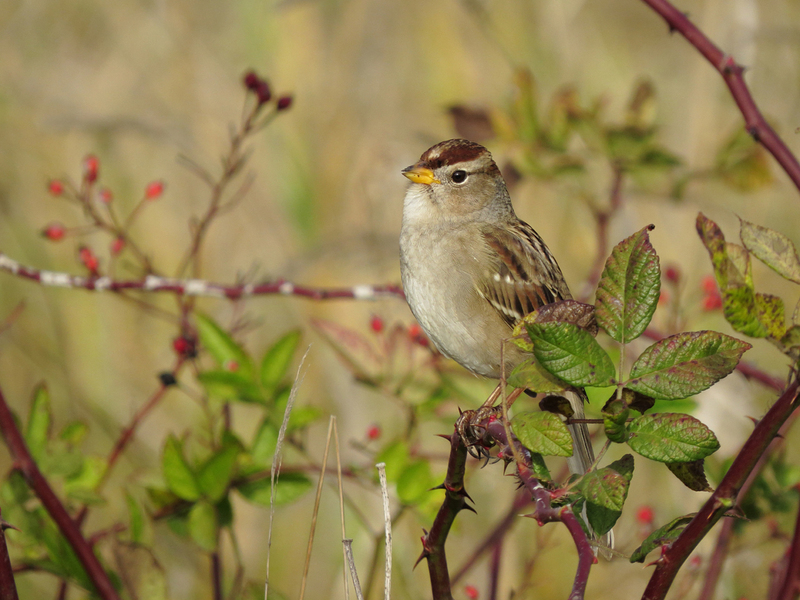 This White-crowned Sparrow posed nicely in filtered sunlight along Rentenaar Road on Sauvie Island. This is a first winter bird, but he was singing from this perch for a while. 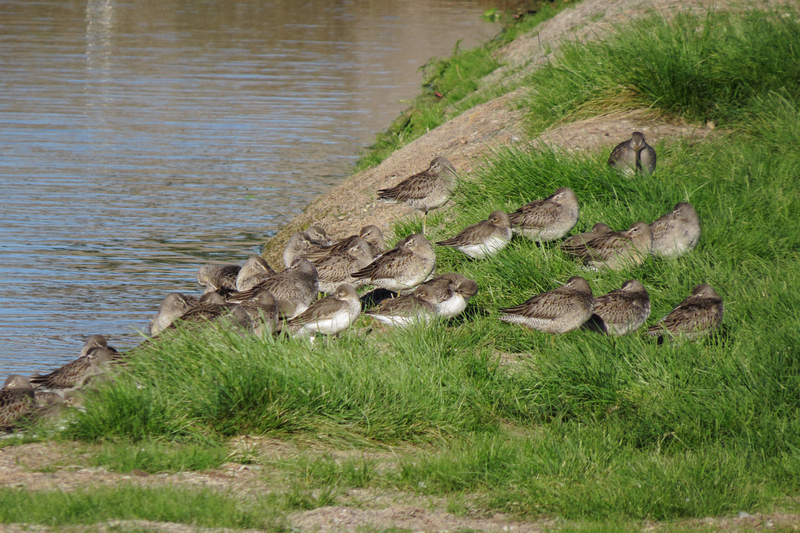 Most shorebird migration is long past, but this mixed flock of Dunlin and Long-billed Dowitchers were hanging out at the small ponds near the parking lot at Fernhill Wetlands. 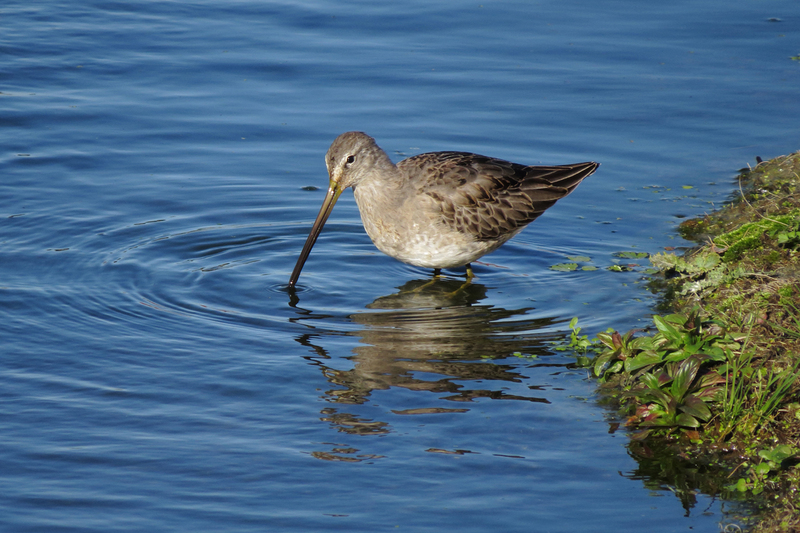 Long-billed Dowitcher at Fernhill. This intense sunlight is certainly not the norm for mid-November, but the rains will return soon enough. 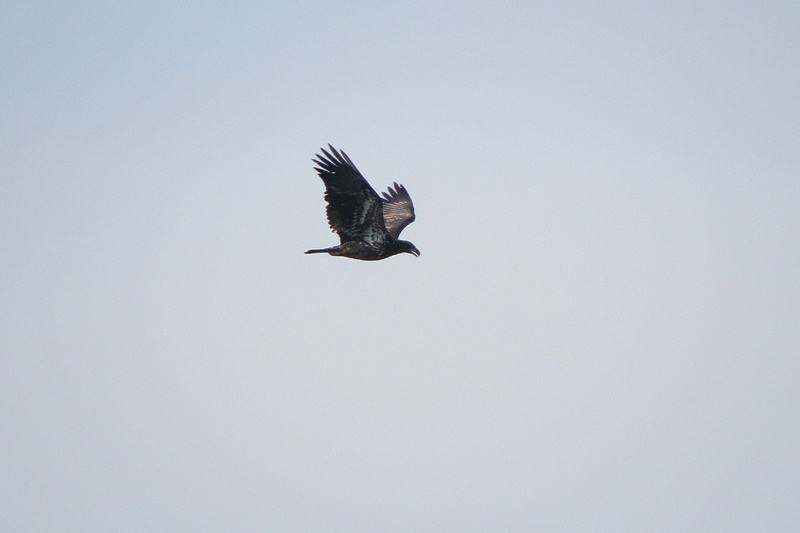 This entry was posted in seasonal movements and tagged Bald Eagle, Black-tailed Deer, Dunlin, Eastern Gray Squirrel, Long-billed Dowitcher, Pied-billed Grebe, Sandhill Crane, White-crowned Sparrow, Wood Duck. Bookmark the permalink.